Enter to win the vacation of a lifetime ! 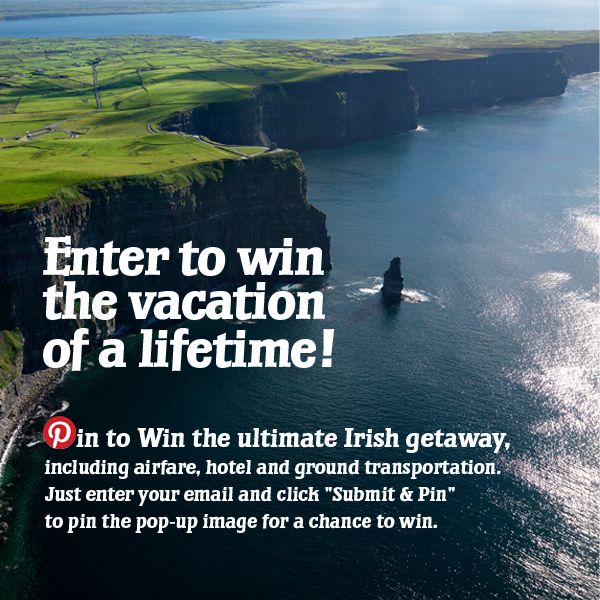 Pin to win the ultimate Irish getaway, including airfare, hotel and ground transportation. Just enter your email and click “Submit & Pin” to pin the pop up image for a chance to win.